Participants : (1) Verbal children from 7 to 11 years old with a diagnostic of autism (2) Verbal children from 7 to 11 years old with typical development. Summary : Sleep plays an important role in word learning but little is known about the exact mechanisms favoring this learning process. In this study, we will record your child's sleep in order to identify the sleep waves involved in this learning process. The aim of this study will be to investiguate whether sleep quality is linked to memory skills. Moreover, some studies indicate that sleep helps to regulate emotions. The second aim of this study is to investiguate whether emotional regulation difficulties, which are frequently encountered in Autism, are associated with impaired sleep architecture. At the end of the study, you will receive a video explaining the results of the study as well as a sleep report. Status : On-going recruitment. If you are interested in participating or in having your child participate in one of our studies, please sign-up HERE and we will then send you more information about this study. Summary : This 5-sessions experiment allows your child to play different games and to get involved in painting activities with an adult. Those natural and spontaneous interactions are recorded by a camera to provide the researcher with real social behaviours from children with and without autism. To know how your child feels during those games, s/he will wear two little electrodes on her/his non-dominant hand as well as eye-tracking glasses to record what interests her/him. This material is harmless. Summary : We are looking into different elements that are essential in a child’s development such as attention to the interlocutor’s mouth during an interaction, joint attention capacities or the way sounds and images are integrated. Our goal is to understand how these mechanisms influence language acquisition in 3 to 5 years-olds. 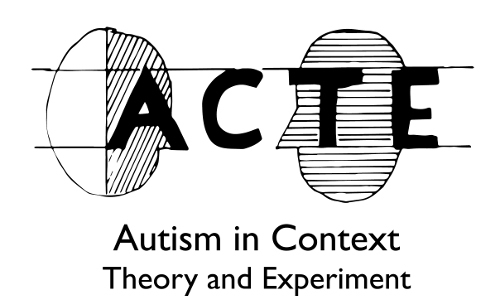 Undertaking this study with children with and without autism will allow us to analyse observable differences between these two groups, with the aim of better understanding the linguistic specificities of children with ASD. Your child will watch short videos on a computer screen and engage in a few games adapted to her age. There are four testing sessions that can be conducted at the family’s home or at the ULB, following your preferences. Once the resulted analysed, you will receive a video explaining the global results of the study. Summary : We are looking into the way babies integrate a sound with an image, which is a pivotal element in a child’s development. Our goal is to understand how these mechanisms influence language acquisition in children between 9 and 11 months old. Conducting this study should allow us to better understand how and in what time frame this first step of the language acquisition takes place. Your child will simply watch shorts videos on a computer screen (twice five minutes). There are two testing sessions, that can be conducted at day-care, at the family’s home or at the ULB, following your preferences. Once the resulted analysed, you will receive a video explaining the global results of the study. Participants: (1) 3 to 12-years-old children diagnosed with an Autism Spectrum Disorder and who grew up in a monolingual environment (French or English); (2) 3 to 12-years-old children diagnosed with an Autism Spectrum Disorder and who have acquired a second language through the Internet or television despite having grown up in a monolingual environment; (3) 3 to 12-years-old typically-developed children who grew up in a bilingual environment (English-French); (4) 3 to 12-years-old typically-developed children who have acquired a second language through the Internet or television despite having grown up in a monolingual environment. Summary: We would like to understand how passive and non-interactive second language acquisition occurs (i.e. the acquisition of a second language through the Internet, YouTube, tablet, or television). It has indeed often been argued that learning a language implies social interaction. However, some children may have developed a second language through the Internet or television. We would therefore like to investigate more thoroughly if learning in non-interactive ways does indeed take place, how it does so, how efficient it is and what the profile of children who demonstrate this capacity is. Study procedure: The study consists of 2 sessions. (1) Session 1: we will assess your child’s level of proficiency in one of the languages. (2) Session 2: we will assess the other language. All sessions will take place at your own home when it would be convenient for you (even during weekends and holidays).